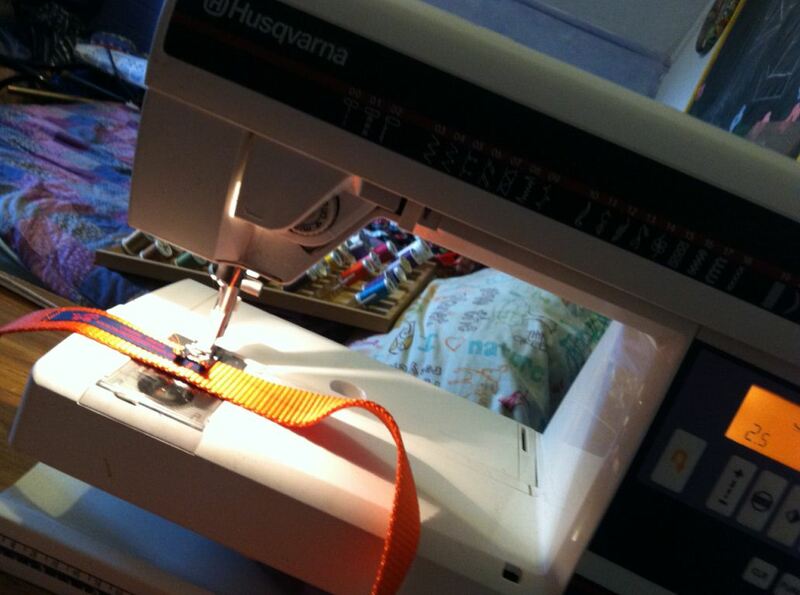 Once or twice a year I get my trusty sewing machine tuned up. I am pretty good at putting it off as long as I can, but it’s a necessity to keep my stitches tight and professional. Last week I took my machine to Valley Tool Repair, in Spring Creek. Its a neat little spot in the middle of nowhere, with an old mill type of thing across the street and it stands next to a small quilt shop, Spring Creek Fabrics. 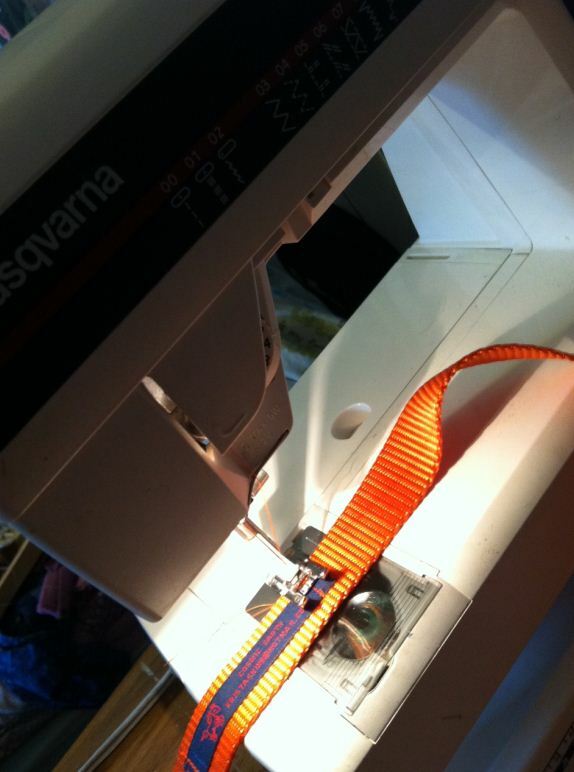 I spent the week my machine was getting the much needed TLC wanting to do nothing more than sew. Figures. A week later, and my Viking is hooked back up and purring away. Last night I finished up some of the ‘projects in process’ (which is a never ending pile) with a smile on my face and Jeopardy in the background. 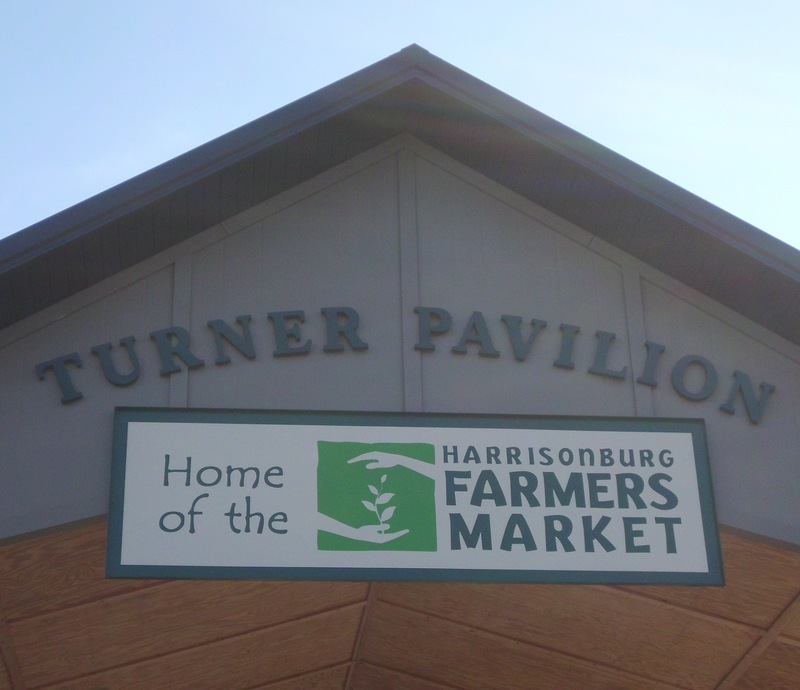 We are starting back to the market this weekend, which is very exciting for us. We have missed the hustle bustle of our usual Saturday and being able to chat with fellow market enthusiasts. It is only Tuesday and I am already starting to work out the packing and preparations in my head, getting the process lined up and ready to implement. I started the physical packing last night by putting the new line of dog toys I have been working on into a tote so they are ready to load into the truck. The last few weeks of lazy Saturday mornings have been enjoyable, but all that spare time and relaxation is just slowing me down. I find I work better and get more done when I have less time to get lazy. It’s a contagious state, one hour of being lazy leads to a second hour, and then before you know it you are waking up from a nap and its only noon. Going to the market every weekend, seeing my current stock and coming up with new ideas sparks me to rush home to my sewing room and spend the rest of my night working. It’s time to gear up and get moving again. There’s gardens to plant and things to sew. A fellow vendor friend sent us this comic. Enjoy. I have found putting things on Etsy to be time consuming. You have to take the photos, and they have to look good, and then you have to take the time to write up a description, and load it all onto the site. When I have done this previously it seemed like the items I listed on Etsy were the first ones to sell the next week at the market, and then I ended up taking the items I spent so much time putting onto Etsy, back off. But since we have another month off from the market I decided to give it a try and I listed a few items over the weekend. I am semi happy with the photos, I must have inadvertently had the camera on a weird setting, although I thought I checked that, because some of the photos came out in a lower quality than I would have liked. Maybe I should triple check the camera settings next time! Daisy does love to model, she has no problem having collars swapped on and off and she seems to strike a lot of poses all on her own. Here is a selection of photos of Daisy getting her catwalk on, and Rich and I trying to capture the quality and originality of some of our pet line items. We want to thank all of our customers and supporters for helping make 2011 a successful year. It was a good one, and 2012 will be even better! Rich and I are looking forward to a little time off from the market this winter. We plan to spend it resting, having fun and also working to stock up the stand. I have visions of dozens of spare totes filled to capacity with back stock, but we will see how close to that reality actually takes us. We are still taking mail orders for dog gear, with a 1-2 day turn around. 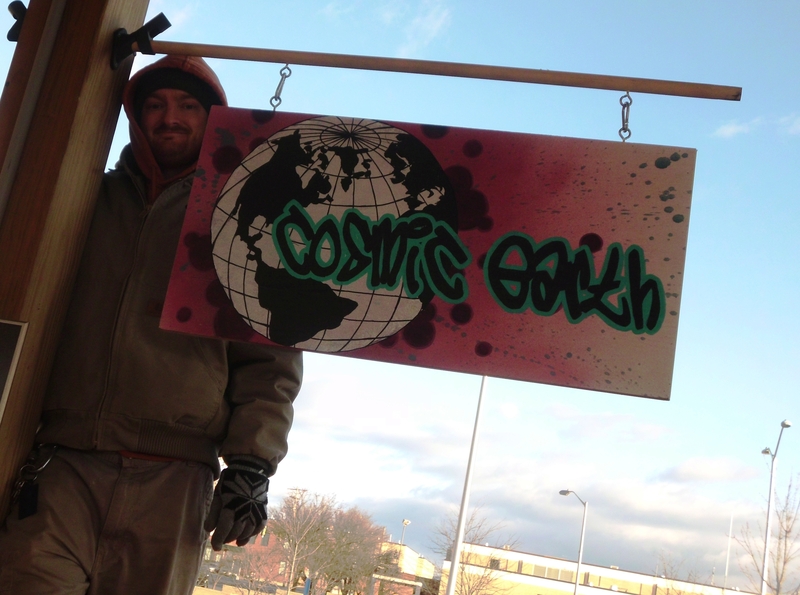 And although the Harrisonburg Farmers Market stays operational all winter long, Cosmic Earth will not be there in January or February. 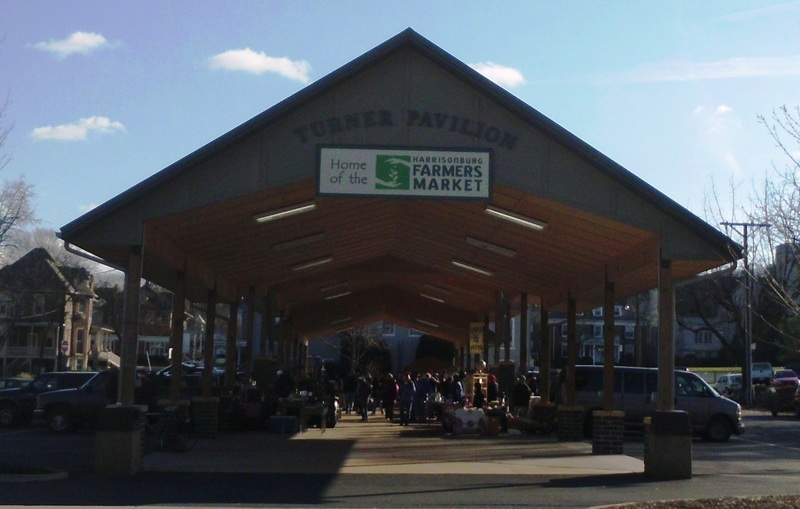 Look for us back every Saturday, starting early this spring, with a fully stocked stand.